The Idaho Lottery is a player’s Lottery, a winner’s Lottery and the people’s Lottery. Every time someone plays the Idaho Lottery, someone, somewhere is always winning – players, retailers, and Idaho’s public schools and buildings. The Idaho Lottery was created in 1988 by the people of Idaho for the benefit of Idaho’s Public Schools and the State’s Permanent Buildings, places like Idaho’s public colleges and universities. When you play Idaho’s Lottery, you can be assured you’re playing games with the highest degree of security and integrity. Every day of the year, we offer entertaining games for everyone — from the big, multi-million-dollar jackpot games like Powerball and Mega Millions to Scratch GamesTM with top prizes starting at $500. 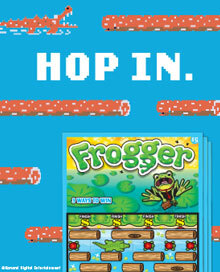 And just like in the beginning of the Idaho Lottery, you can play our games and win big for just a buck or two. Last, but not least, we embrace the phenomenon of “wooh”. The optimism, the fun, the joy. We work to share this all across Idaho. In 1986 by initiative, the people of Idaho voted on the Lottery issue for the first time. The initiative resulted in a 60 to 40 percent "yes" margin, but was later declared unconstitutional by the Idaho Supreme Court. The Court prohibited the amending of the Idaho Constitution by initiative. However, in 1988 the Idaho Legislature authorized a vote by the electorate of Idaho in the upcoming general election. In November 1988, the Idaho Lottery act became law when 51% of Idaho voters approved a constitutional amendment repealing the constitutional ban on lotteries. Idaho set a new industry record by implementing a lottery within 200 days. The first Idaho Lottery ticket was sold on July 19, 1989. On that first day of sales, players purchased more than 840,000 tickets throughout Idaho. That first year resulted in $65 million in sales and the first dividend check of $17,225,000 was given to then Governor Cecil D. Andrus on behalf of the "People of the State of Idaho." Since its inception, the Idaho Lottery has offered lottery players more than 1,000 different Scratch GamesTM. On February 1, 1990, the first Idaho Draw GameTM ticket was sold. The first Draw GameTM presented to Idaho Lottery players was "Idaho Super Lotto/Lotto*America." Over the years, the Idaho Lottery has offered different games with some changing names. Super Lotto/Lotto America became Powerball in 1992. The mission of the Idaho Lottery is to responsibly provide entertaining games with a high degree of integrity to maximize the dividends for public schools and buildings. Historically, Lottery dividends are shared by Idaho's Public School Building Account and the Permanent Building Fund. A statute change in 2009, sets aside a portion of Lottery funds above the Fiscal Year 2008 funding level of $34 million for the Bond Levy Equalization Fund. Since their inception in 1989, the Idaho Lottery has sold over $3 billion in products, awarded nearly $1.77 billion in prizes to players, returned more than $160 million in retail commissions, and distributed more than $694.5 million in Lottery dividends to state public schools and buildings. The Idaho Lottery is composed of the Lottery Commission and the Idaho Lottery staff. The Governor appoints the five-member commission and each member serves for five years. The Commission adopts rules for the agency, approves contracts and monitors all Lottery operations. Executive Director Jeffrey R. Anderson serves at the pleasure of the Governor. The Director is responsible for overseeing day-to-day Lottery operations, including security, marketing, sales, media relations, warehousing and inventory control, information systems and fiscal management.